Appointments are to be scheduled in advance whenever possible. Emergencies are seen during all hours of operation and emergency cases, if deemed critical, will be seen as a priority. 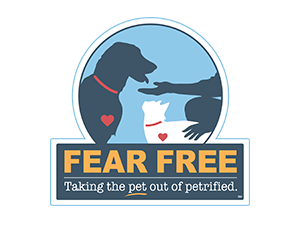 Due to concerns for pet safety, dogs are required to be restrained by fixed leashes and cats confined to a carrier upon arrival at our facility. Every attempt is made to decrease the amount of time animals spend in our waiting room area. Animals are moved to individual examination rooms as soon as possible, as we find they are more comfortable there. Vaccination schedules are tailored to each individual pet’s needs. Factors including age, lifestyle, and immune status are used to determine vaccine recommendations. Unless medically exempt, all patients are required to receive Rabies vaccination as per Pennsylvania law. Medication or prescription food refill requests received before noon on a business day will be reviewed by a doctor and filled by closing hour of the same day. Refill requests received after noon will be ready the following business day. A physical examination must be performed by a veterinarian at our facility a minimum of once yearly in order for us to grant refill requests. There are no exceptions to this policy. We encourage the purchase of medications from our in-house pharmacy to eliminate our concerns over the quality and content of medications available from online sources. Longwood Veterinary Center requires full payment at the time services are rendered. For your convenience, our hospital accepts Visa, MasterCard, Discover, American Express, cash, personal checks and CareCredit.